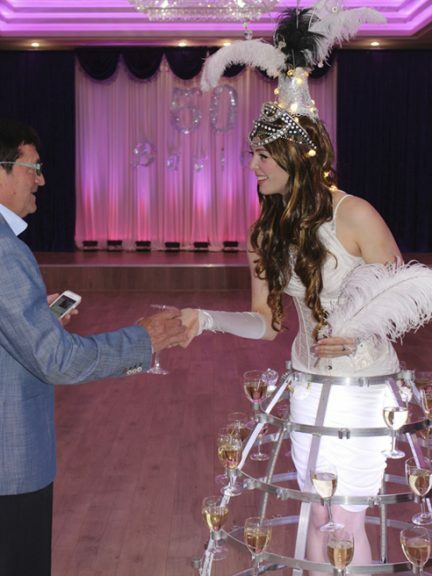 New Year Parties, 50th Birthday Parties, Bar Mitzvahs, Bachelorette, Nightclub, & all sorts of Social Celebrations! 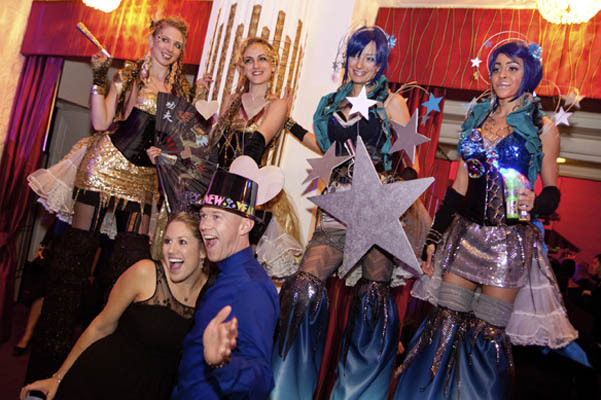 FEATURED PARTY- A LIST SF NYE PARTY... 7 years in a row! 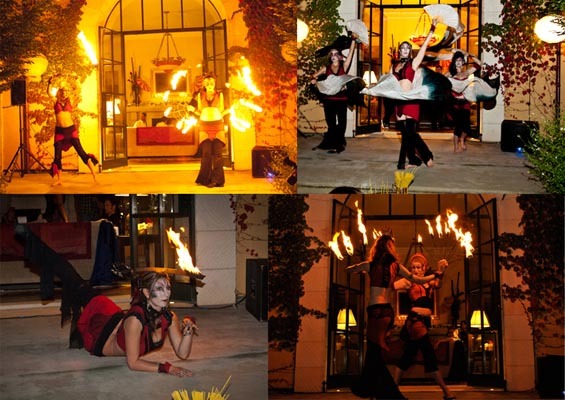 We have brought fantastical variety entertainers to this legendary NYE Party the last 2 years at the Payne Mansion in San Francisco. 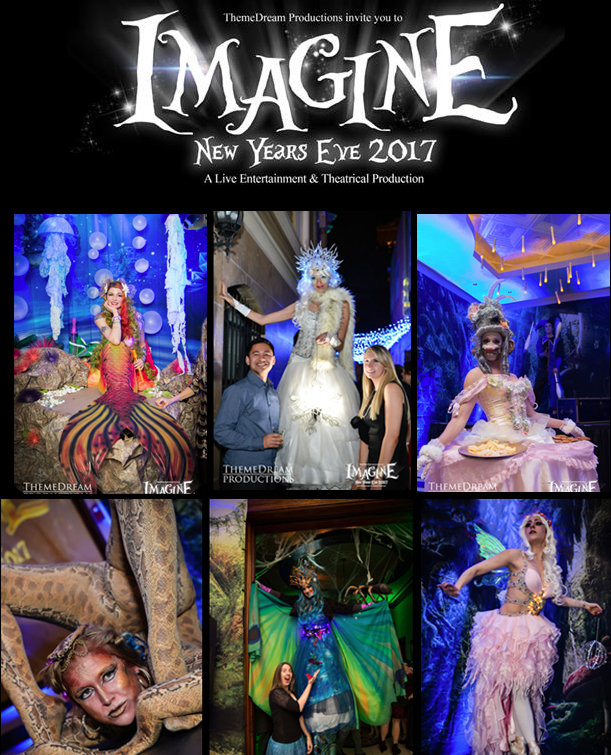 Produced by Themedream Productions. 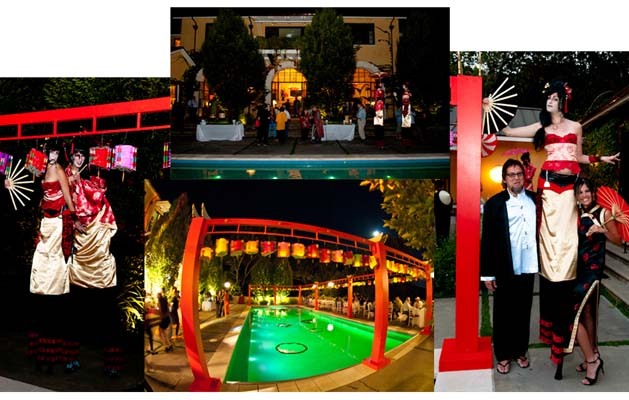 For this 50th Birthday Party in Wine Country with a Japanese/Asian theme– we had geisha stilt walkers greeting guests and adding their wishes to a wish arbor and later on in the night we came back out for a 2 surprise dance performances… one with silk fans and the other with fire dance. 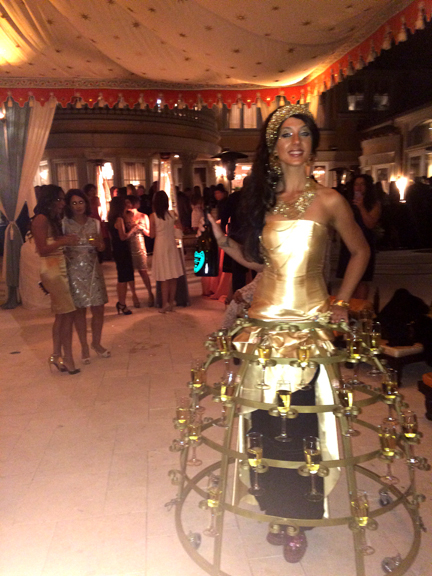 Our Champagne Skirts adding some excitement and flair to classy 50th Birthday Parties.